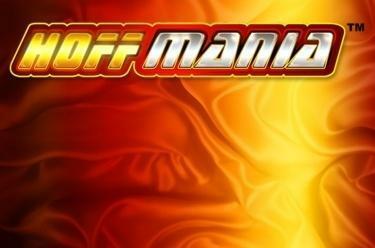 Play Hoffmania™ online for free now! The TV hero of the 80’s and 90’s is back with Hoffmania™ to get you on the road to victory! The thing is - how could it be any different - with David Hasselhof: Look forward to the 'Hoffinator' which will let your winnings dance the limbo at this AllPay slot. Find the man himself for the main prize, and, with a little luck, he’ll trigger lucrative free games with the HOFFMANIA feature! Hoffmania™ is played on 5 reels with AllPay. In this variant, there is no win line, instead you win when you land 3 matching symbols on 3 reels next to each other, starting from the first reel - it doesn't matter on which reel positions they land. The aim of the game is to land the same symbol at the same height across the 5 reels on a single spin. 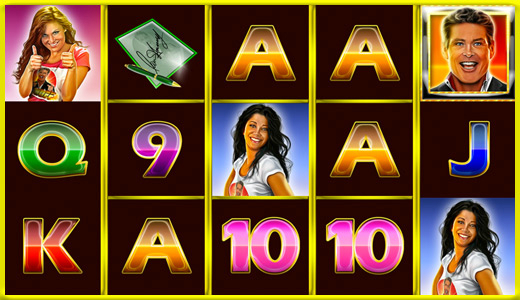 Trigger 5 Free Spins by landing a combination of 3 or more Scatter symbols (Golden David Hasselhoff) in any position. Plus, for every Scatter symbol landed, you receive either 1 or 2 extra Free Spins or a multiplier increase of +1. Your chosen stake from the regular game is used in the free spins; winnings in Free Spins are based on the multiplier applied to each specific set of Free Spins. You can also win further Free Spins by landing 3 or more Scatter symbols during a Free Spin.